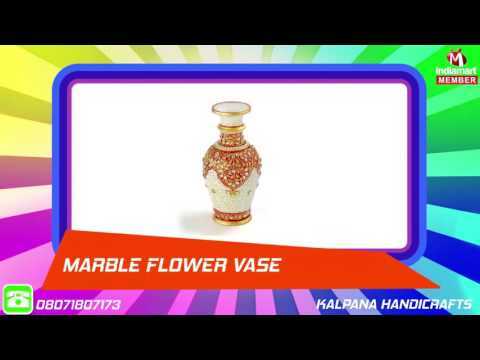 Established in the year 2012, at Noida (India), we, %u201CKalpana Handicrafts%u201D, have emerged as the leading manufacturer, trader and supplier of Marble Decorative, Marble Pooja Thali & Marble Sculptures. We supply an assortment of Marble Handicrafts are processed at vendors end using cutting edge technology with defined industry standards that are stringently checked on various parameters. Attractive look, vibrant color and perfect finish are some salient features of these products. Due to their longer service life, attractiveness, stunning shine and accurate cuts, these are highly praised among our clients across the nation. Our products are widely appreciated in market for their longevity, permeability, & durability.